Kalpitiya is one of the most desirable places present in Sri Lanka. It is widely acclaimed for its undisturbed natural glory. One might spot a dancing dolphin amidst the sea here. Besides the serenity of the place, there are fascinating hotels and luxurious resorts that prove to be perfect in order to provide comfort to the tired travelers. The place is also rich in exotic biodiversity. There is a village beside the sea which is bordered by the Puttalam lagoon. First day of the excursion will include this elegant beach side. Whale Watching is another amazing activity to cherish when visiting Kalpitiya beach. Take a ride into the ocean and spot some spinner dolphins mischievously diving in and out of the water. Blue whales and sperm whale are also seen here through the waters delighting those who are lucky to spot them. Second day of the excursion will include whale watching and other such water activities at this mesmerizing beach side post-breakfast. 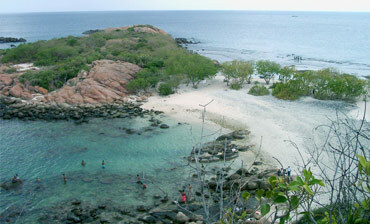 Trincomalee beach remains one of the best destinations to get the remarkable glimpses of Sri Lanka. The shores of Tricomalee stand as an abode to the fascinating natural harbor which affirms to be listed among the largest harbors of the world. Apart from this, Trincomalee is a place famous for the beautiful beaches and the multicultural town. Third day of the excursion will include this elegant beach side. Travel to Trincomalee post-breakfast. The Trincomalee town is a multifaceted place that showcases a significant influence of the colonials. The most prominent sites, apart from the culture here, are the Pigeon Island National Park, Marble Beach and the Koneswaram Temple. Fourth day of the excursion will include the exploration of this fascinating site post-breakfast. Pasikuda has been exclusively designed with an amazing shallow coastline that extends marvelously. With such alluring coastline the place is prominent for sunbathing and shallow swimming. The place showcases some mesmerizing glimpses of the azure waters that are hard to resist. The turquoise water on the glistening white-golden sand affirms to be a perfect site to behold. Fifth day of the excursion will include some leisure time in the resort at the beach side. Pottuvil is among the most serene places of positioned in the eastern coast of Sri Lanka. The place is untouched from the major tourism developments. Therefore, the raw beauty of nature can be explored here. 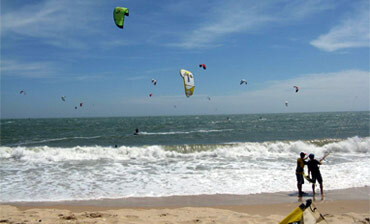 The place has proximity of 4 km to Arugam Bay which is widely acclaimed for being the best surfing destination. Sixth day of the excursion will include this elegant beach side. The day would start amidst the Pottuvil lagoon which comprises a multitude of bird and animal species flocking to its waters. Some amazing glimpse dominated by Elephants and crocodiles are frequently witnessed on its banks whilst an array of birds, including diving birds and eagles, graze the branches and treetops of the surrounding, thick mangrove forest. Galle was a prominent seaport which was known for merchant ships that traded sparkling spices, glorious gems and other fascinating commodities. Galle Fort which dates back to the 14th century is a world Heritage Site that offers interesting vistas merging the old and modern city together in perfect harmony. Eighth day of the excursion will include the exploration of Galle city. Galle beach is among the top beaches of this pearl-drop island that offers amazing water activities on top of the spectacular natural splendor. 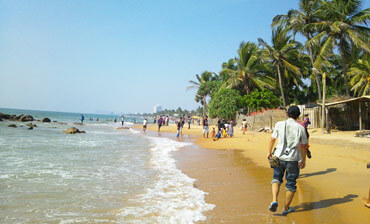 Ninth day of the excursion will include some leisure time at Aditiya Hotel and beach exploration post-lunch. Kosgoda Beach is among those unexplored beaches that promotes the mesmerizing essence of the raw nature. The best part of this beach is that it is often visited by Sea Turtles to lay eggs. This is also a way in which the turtles conserve this beach in order to ensure its survival. Tenth day of the excursion will include this elegant beach side to enjoy water activities. Kosgoda Beach, known for its saffron sands and blue skies, is perfect to enjoy a serene walk along the beach coast. Eleventh day of the excursion will include a visit to the turtle conservation project that strives to sustain rare marine life. Mount Lavinia is one of the best places in Sri Lanka to experience a thundering holiday experience which is replete with graceful sea breeze amidst the serene backdrop of the ocean or the sunset. Apart from the natural splendor Mount Lavinia is widely acclaimed for being a golden beach designingly lined by amazingly architected hotels/resorts. Twelfth day of the excursion will include some leisure time at the beach side. Before travelling to the most prominent beach of the island spend some joyous time at Colombo city which is the commercial capital and indulge in to some shopping and other activities of the vibrant city. Thirteenth day of the excursion will include some city exploration and shopping. Fourteenth day of the excursion include this elegant beach side. Transfer to the airport post-breakfast.